Welcome to my Sailor Moon Podcasts page where you can find all the latest episodes of the Sailor Moon News Roundup podcast, my special weekly Sailor Moon podcast that recaps all the latest Sailor Moon anime and merchandise news in one convenient package. 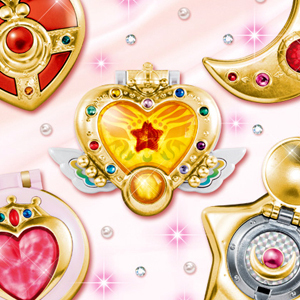 On this page I'll also link to any other Sailor Moon podcasts I guest on such as the Sailor Moon discussion podcast, Moonie Tunes which you can hear me on on a regular basis. Sailor Moon News Roundup Episode 006: What a great episode of Sailor Moon Crystal! In this episode of the Sailor Moon News Roundup, I talk about my thoughts on the beginning of Sailor Moon Crystal Season 2 and break down some pretty big news coming right out of Japan. 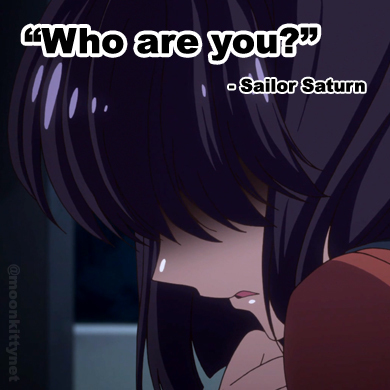 I also answer a couple of questions from Moonkitty.net's Twitter and Facebook page about my thoughts on changes made in the English version of Sailor Moon and discuss who my favourite character is. Sailor Moon Says! Listen to the podcast and read the full episode notes here. Sailor Moon News Roundup Episode 005: I'm back with a special episode of the podcast where I look back on the first season of Sailor Moon Crystal and talk about what worked and what didn't. I also answer a lot of fan questions from Moonkitty.net's Twitter and Facebook page about Sailor Moon Blu-rays and DVDs, why we never got Sailor Stars and if I would ever wear Neo Queen Serenity's crown on my wedding day. Listen to the podcast and read the full episode notes here. Sailor Moon News Roundup Episode 004: The first episodes of the new Sailor Moon anime, Pretty Guardian Sailor Moon Crystal is here! I discuss what I liked and didn't like about the episode and let you know how to support the show by watching it online for free! I also touch upon the re-release of the classic 90s Sailor Moon anime and its future Blu-ray and DVD release. Listen to the podcast and read the full episode notes here. Sailor Moon News Roundup Episode 003: The third episode of the Sailor Moon News Roundup! We finally got to see some artwork from the new anime and it now has a title! Also a new Sailor Moon musical announced and loads of Sailor Moon merchandise continues to fill our Moonie lives with joy! Listen to the podcast and read the full episode notes here. Sailor Moon News Roundup Episode 002: It's been an exciting week for Sailor Moon fans with a special 20th anniversary concert here in Japan and several new staff members revealed for the new Sailor Moon anime that's coming in July this year! Also some more cool Sailor Moon merchandise and new Sailor Moon t-shirts! LOTS of Sailor Moon t-shirts! Listen to the podcast and read the full episode notes here. Sailor Moon News Roundup Episode 001: The first episode of the Sailor Moon News Roundup! In this episode I fill you in on everything that's happening with the new Sailor Moon anime and recap all the new Sailor Moon merchandise releases announced this week! Listen to the podcast and read the full episode notes here. Moonie Tunes Episode 19: BIG episode where me, Cycyn and Sakky reminisce about our time watching the latest Sailor Moon musical in Tokyo, Japan! Listen to the podcast and read the full episode notes here.